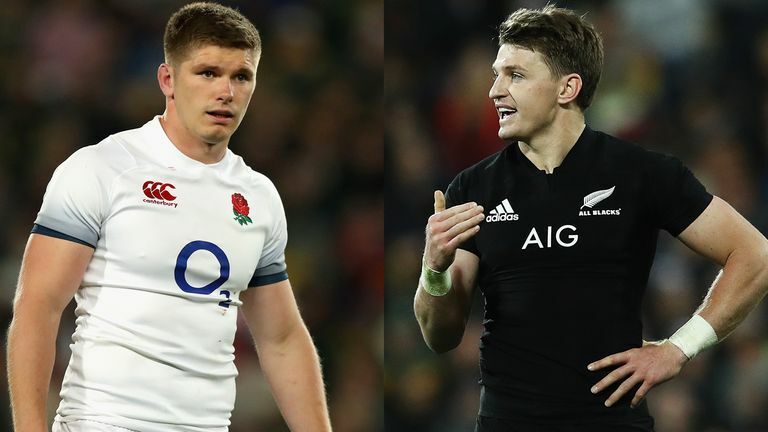 Owen Farrell is relishing Saturday's fly-half battle with Beauden Barrett as England chase their first win over New Zealand since 2012. Barrett is in contention to win World Rugby player of the year for the third successive season, having scored seven tries in eight appearances for the All Blacks in 2018, while Farrell's clutch goalkicking secured a series draw for the British and Irish Lions when the pair last locked horns in 2017. They meet against at Twickenham, live on Sky Sports Action, and Farrell says England must shackle the 27-year-old playmaker's influence if they are to stand any chance of victory. "He's a world-class player. 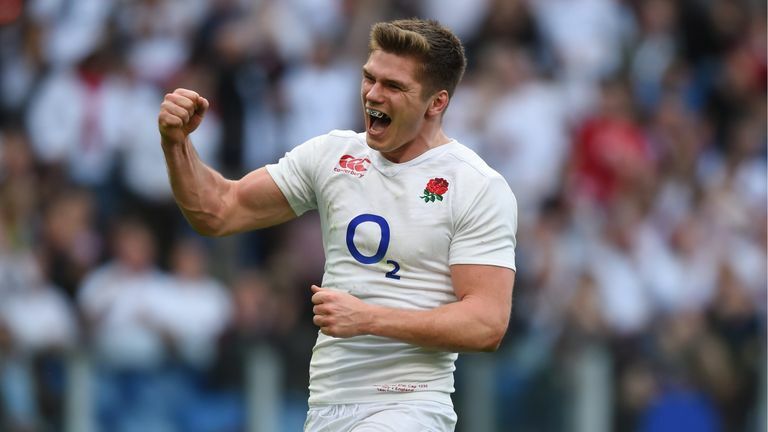 World [Rugby] player of the year twice in a row, there are not many people who have done that," Farrell told Sky Sports News. "He's classy, a brilliant athlete and those are the kind of people you want to play against. You look forward to coming up against them. "It's not about me and him, he'll be well aware of that. It's about the team and with him being one of their key decision-makers, it's about how we can put a bit of pressure on him." Farrell was part of the England team that beat New Zealand, kicking 17 points in that 38-21 success at Twickenham, while he also tasted victory with the Lions in Wellington last year. "I don't want to sit back and go, 'how good was that?'" he said. "I want to make sure we're in a place where we can hopefully do it again." England have lost their last five Tests against the back-to-back world champions but Farrell remains bullish about their chances. "No team is invincible," said the 27-year-old. "They're obviously a very good team that has got an unbelievable win record and have been at the top for a very long time, which is well deserved. "But we're striving to be like that, to be up there. We want to be the best."